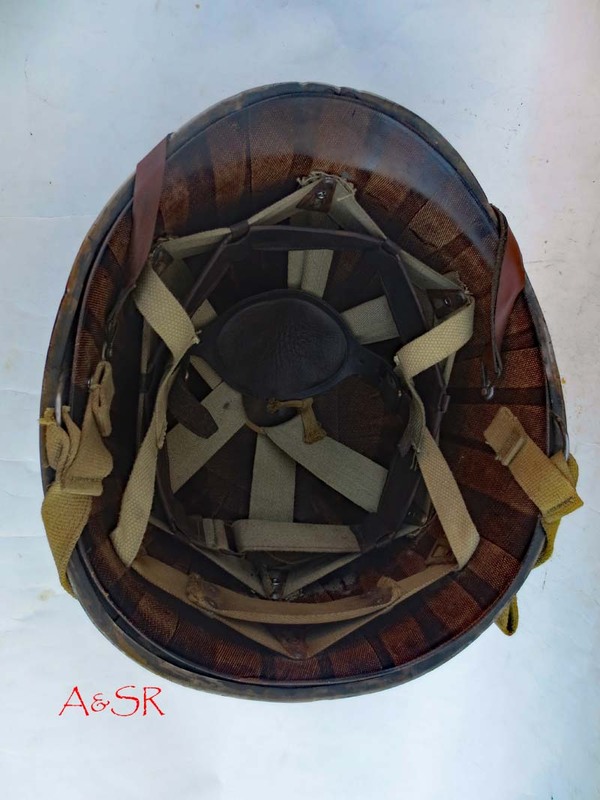 The helmet has been restored to look like it might have seen service with a medic in the 508th Parachute Infantry Regiment of the 82nd Airborne during their jump into Normandy. 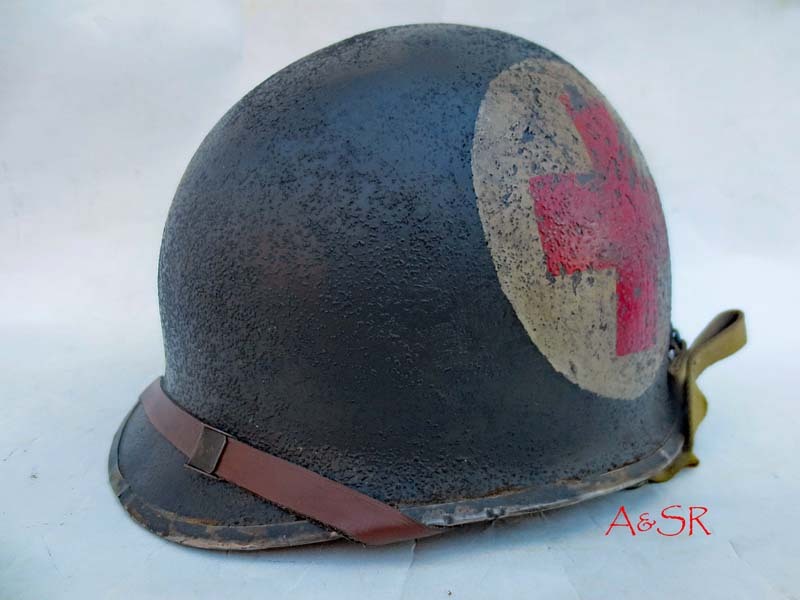 Contrary to what Hollywood would have you believe, very few 4-panel Medic helmets were actually worn during the Normandy Invasion. 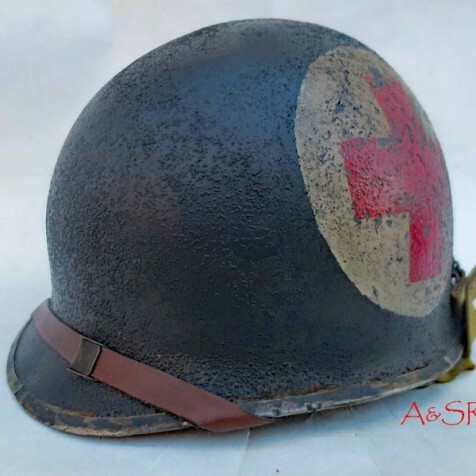 In fact most medic’s at Normandy didn’t wear painted insignia at all. 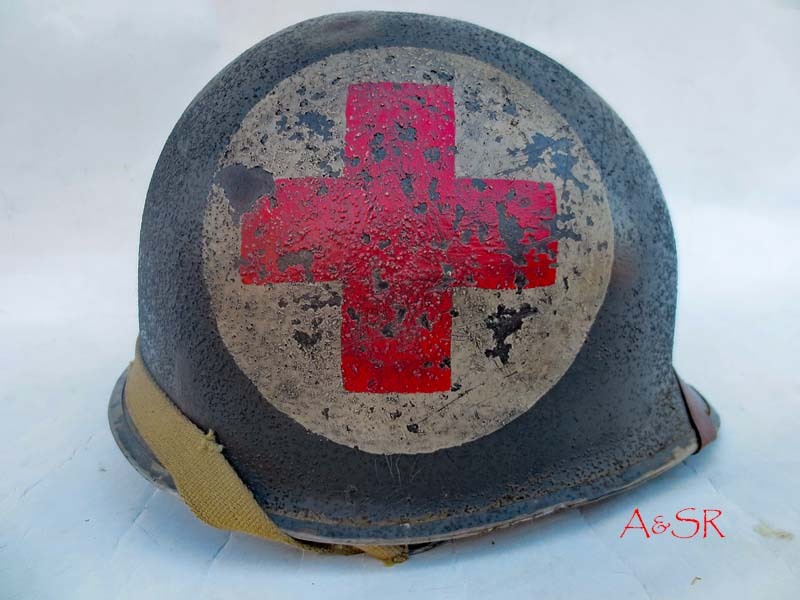 The 508th were the only regiment in the 82nd to wear painted medic insignia on their helmets, as a number of original photos show. The 2-panel design was adopted by the 508th just prior to Normandy and was worn by Medic, aid station personnel and stretcher bearers.